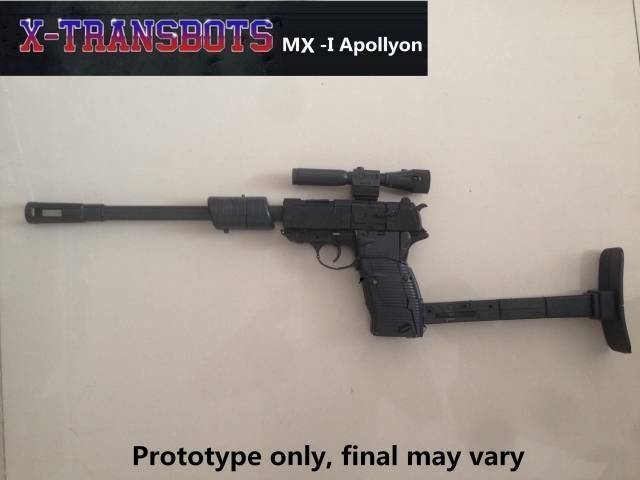 CLICK HERE For the second run of Apollyon! 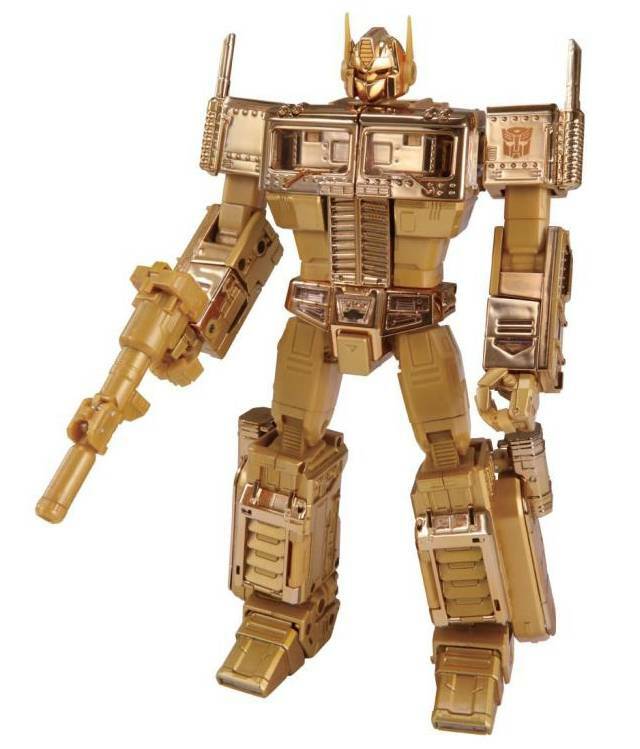 The robot mode stands approximately 24.5CM/9.6" tall. Gun barrel /feet/ waist/back with die cast parts. **As per USA law, all gun like toys must be using plastic orange /yellow plug in the gun barrel to differencitate from a real gun. this product also have two gun barrel plugs : one in the gun barrel , another one in the silencer. 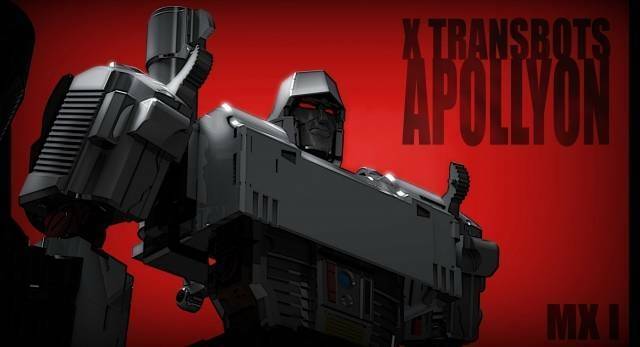 This is an excellent take on Megatron. He a nice, wide, and steady figure after you do the should swap. The articulation is excellent. He contrasts well with MP 10. Also, my product had a few pieces missing. I contacted TF source and received replacements in no time at all. The transformation is scary. I was terrified I'd break him. 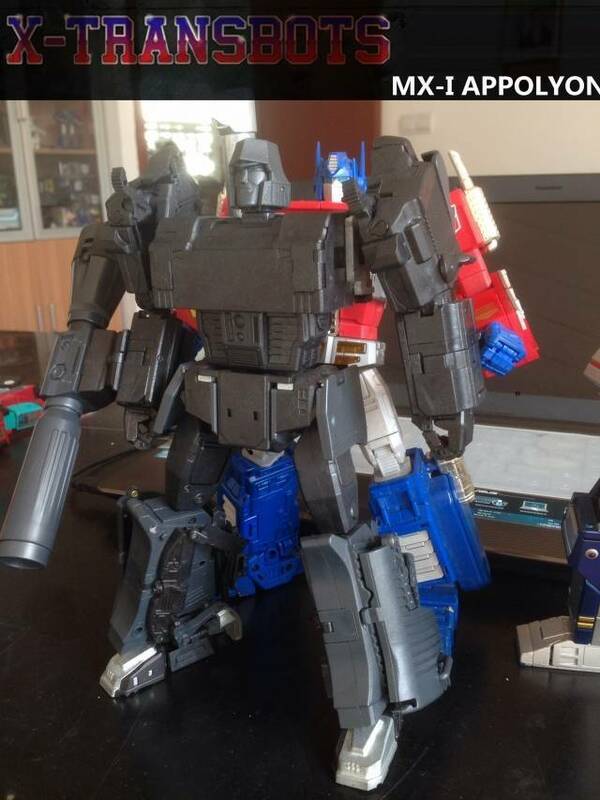 Even if I stop collecting now I've be happy cause I got me Optimus Prime & Megatron. Got this some time ago, when I received it the figure was missing a finger on one hand. later found it in the box, broken off at the knuckle. Got this awesome looking figure in May 2015. Looks really great in display. Had problems with the shoulders and put in the replacement sockets. Arm wouldn't stay up. Today I wanted to put him in a different pose and turned his head a bit only to find it to break off the base joint. I didn't even use force. It broke of really easy. I'm really disappointed in the durability of this product. 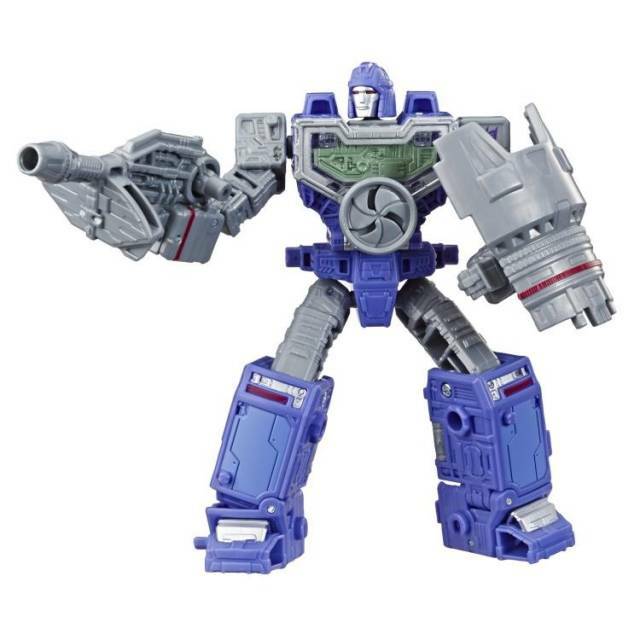 I ordered another from Tfsource from the 2nd production run, hopefully its better quality. my first run figure had a hinge on his right leg flap that was so loose that it sways back and forth and dangles in between the figures legs. i really cant believe it made it through qc this way for the price being charged. hopefully this is an isolated problem(lucky me) and doesnt become a known issue with this figure. last complaint is the lack of articulation in his feet. 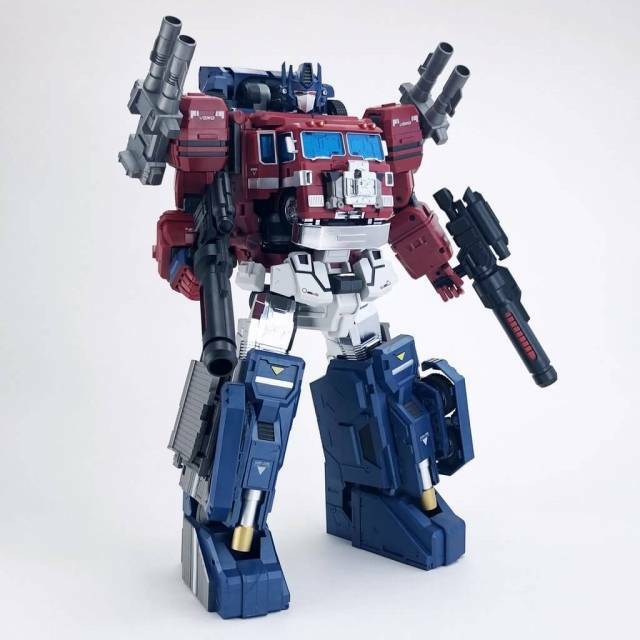 doesn't make many poses available..... other than that its a great combination of hegemon and mp5 in one cool figure who is perfectly in scale with quakewave,mp soundwave,mp seekers unlike hegemon and mp05. comes with more accessories than needed (the kind of problem you want to have) and his lighted cannon was a nice added touch. ok....one more complaint.....keep in mind that unlike hegemon, this figures orange safety plus is glued permanently to both barrel tips. sad because his gun barrel is real metal!!! 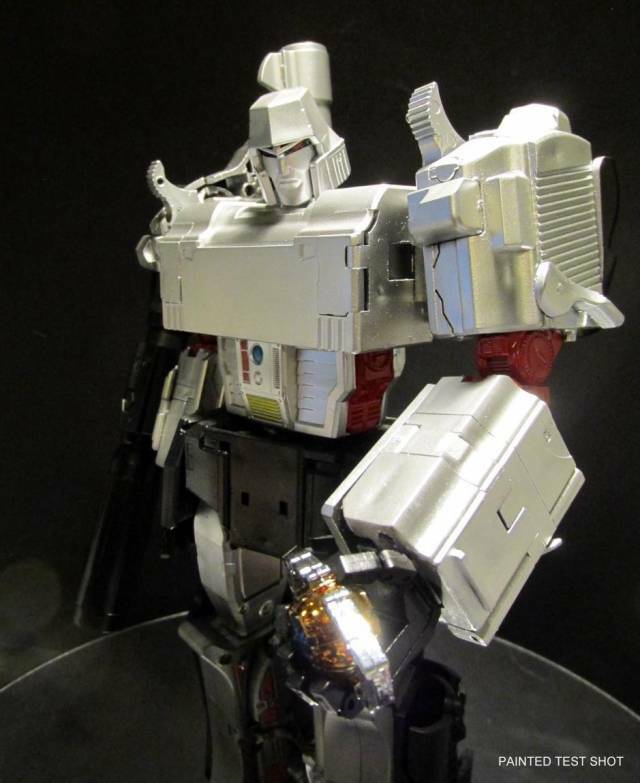 Apollyon is an amazing homage to everyone's favorite megalomaniac! 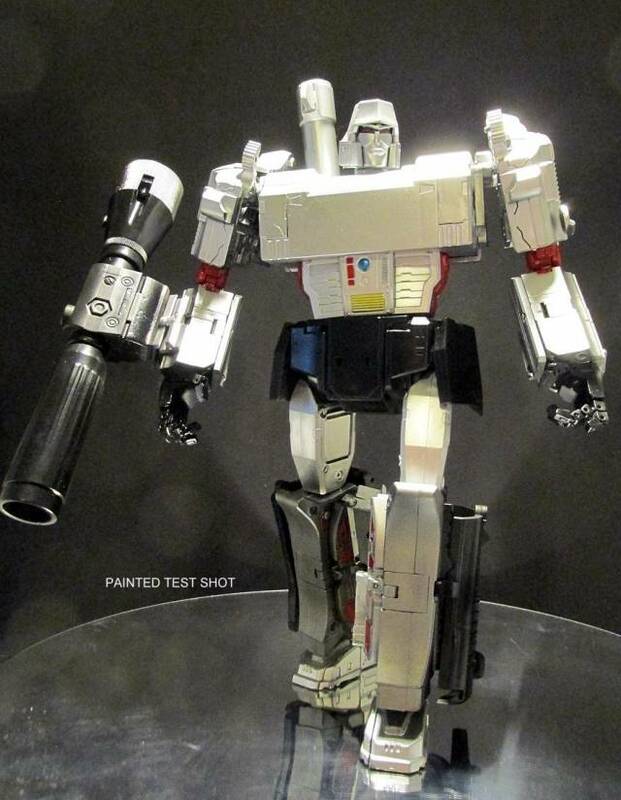 It's a beautiful figure, in both robot and gun mode, and you can tell a lot of care went into making him a worthy recreation of G1 Megs. There are a few problems with the figure, such as some of the kibble being a bit floppy, especially in the legs. Also I found the transformation to be a little scary, as he has a lot of small, seemingly fragile bits that have to be handled carefully, and some pieces that are just too stubborn to move without "excessive force". It can also be very confusing, with a lot of pieces moving in ways you might not expect them to. 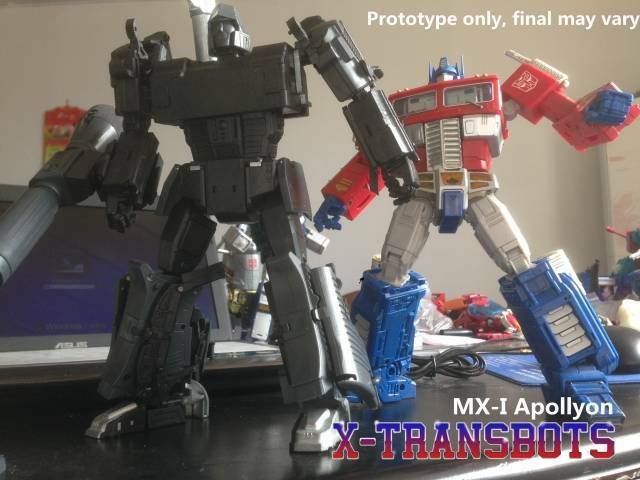 I think you have to chalk that up to the logistics of the transformation, though, and XTransbots still did an impressive job. 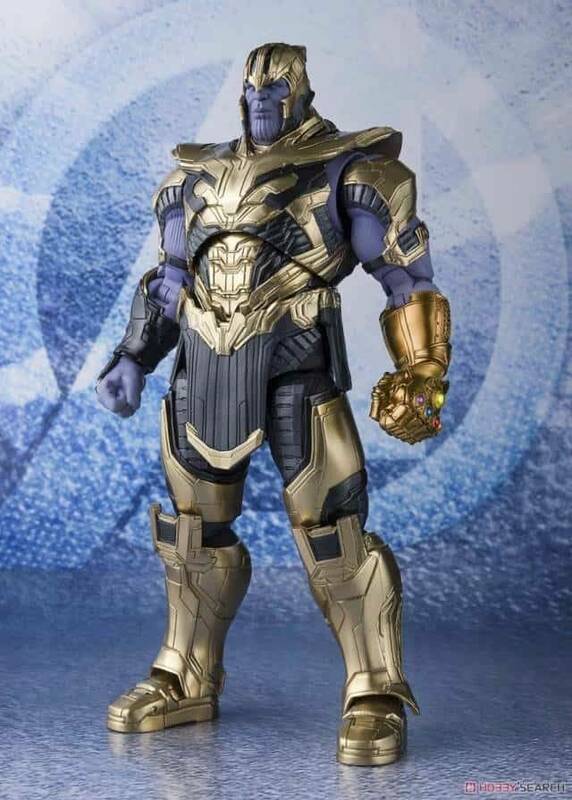 He's got a nice amount of heft to him, with the diecast pieces distributed so that he's very well balanced, and he stands on his own very well. The replacement shoulder sockets he came with make the arms much easier to pose, but when you first install them they are very tight. They get better if you work them around a bit. 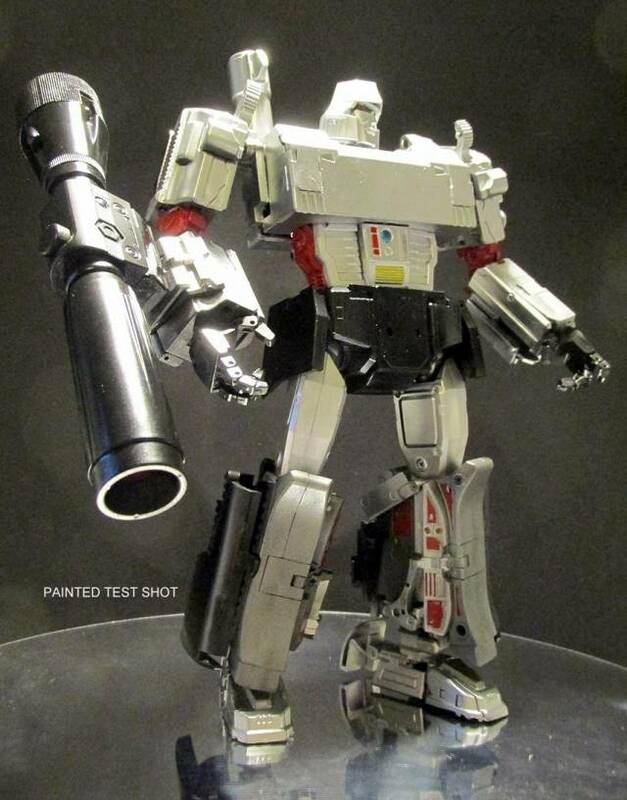 Final Verdict: Apollyon is an awesome figure that captures the power and menace of G1 Megatron perfectly. There are flaws, but they can be easily overlooked given the overall quality of the figure. Let me start by saying that it is very obvious how much work and creative engineering was put into this figure, to get even a reasonably accurate figure in both modes is a marvel of modern engineering! 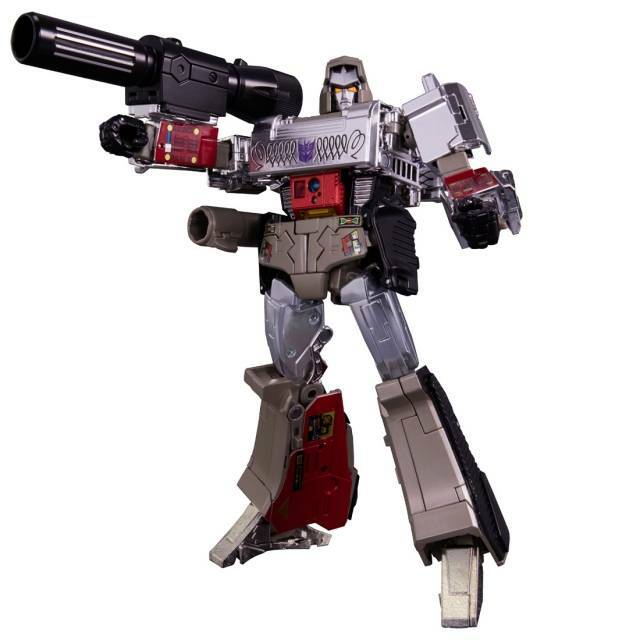 The Robot mode SCREAM G1 Megatron the "armor" on his calves sufficiently thicken the legs without seeming too much like extra kibble, The held sculpt is beautiful an menacing, I really like the ability to swap the fusion cannon from the side to the top of the arm. There are a lot of nice little touches all over the figure to give the figure a very complete look. 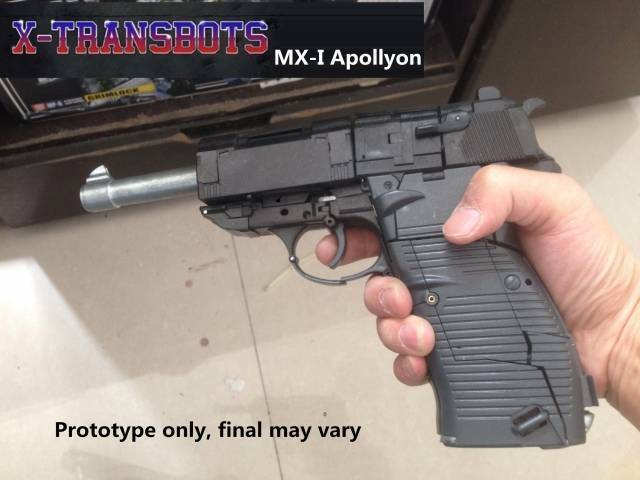 The handgun mode is convincing enough that I can see why various sellers required the company to glue in the orange plug. A quick glance, and this could easily be mistaken for a real handgun. everything plugs together for a very solid feeling alt mode. I especially like all of the panels that get rotated out to hide various robot mode bits. The transformation is fairly complex and at times, a bit harrowing. While I enjoy transforming him, I do have to spend half the time move and keeping various parts out of the way to get him transformed. There are a lot of very thin metal and plastic pieces that are used to swing the arms in place in both modes. 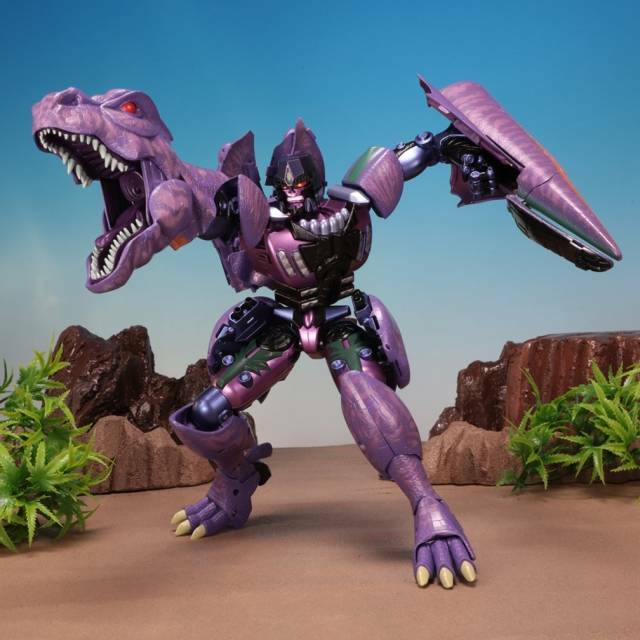 I have not had any issues with anything breaking, but I would highly recommend a gentle touch when transforming him! replacement joints are very tight, they work well for me, but others have had issues. All an all an excellent figure. He gets a very prominent place in my display case! I am extremely happy and he is well worth he money! A great figure. The Baggie includes replacement shoulder joints that are way tighter. And an adapter for the turret cannon build. Oh and a screwdriver. 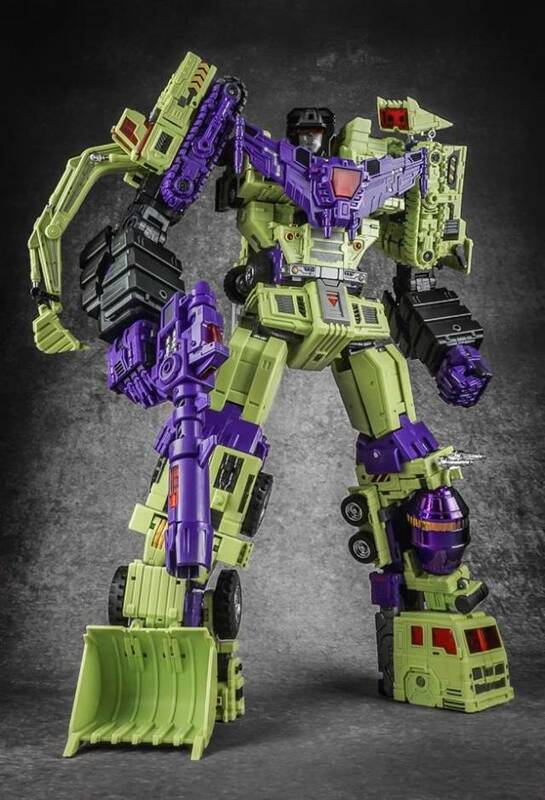 The only thing missing is a decepticon sticker for his chestisus. The not so greats... With the installed shoulder ball joints the arms pop off easily, but that's what the replacements are for. Inner calf kibble is concerning how flappy it is. That's about it. Transformation is a challenge, I recommend hitting up YouTube before you start and watch the transformation videos. I'm glad toy fans take this upon themselves to help each other out. Wish the eyes lit up, but I'm sure anothe 3rd party will step up. Now go pre order one before the sell out again.